China’s hopes that U.S. farmers would repudiate President Donald Trump’s trade policies were crushingly defeated in the midterm elections on Tuesday. Breitbart News reported Wednesday that American farmers did not turn against the president despite suffering under China’s retaliatory tariffs. There is little doubt U.S. soy farmers are hurting: Exports to China were down over 90% on the year in September, according to the U.S. Department of Agriculture, and soybean export prices from the U.S. Gulf Coast are 20% cheaper than from South America, the other big producing region. Moreover, the U.S. soybean-marketing season is just beginning, meaning the real pain for many farmers lies ahead. 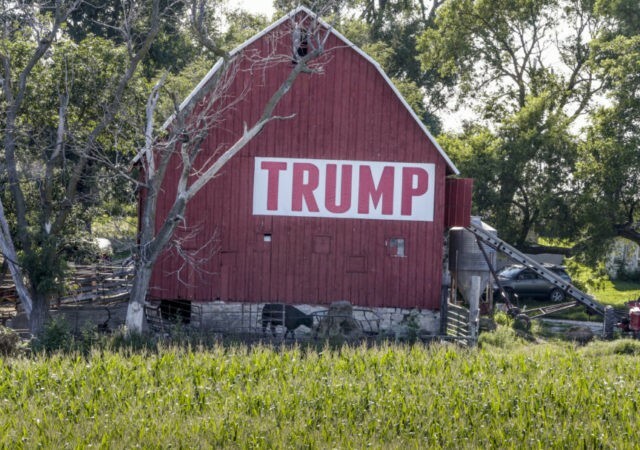 Still, Tuesday’s election results show that Mr. Trump’s rural base isn’t punishing him too harshly. That bodes ill for a meaningful Sino-U.S. trade settlement, hopes of which have boosted global markets ahead of a planned meeting between Mr. Trump and Chinese leader Xi Jinping at the Group of 20 summit that starts Nov. 30. Of 19 competitive House of Representatives races in the Midwest and Southeast involving counties with annual soybean production of over two million bushels, 10 went for Republicans and nine for Democrats. It is hard to interpret that as a clear indictment of Mr. Trump’s trade policy.